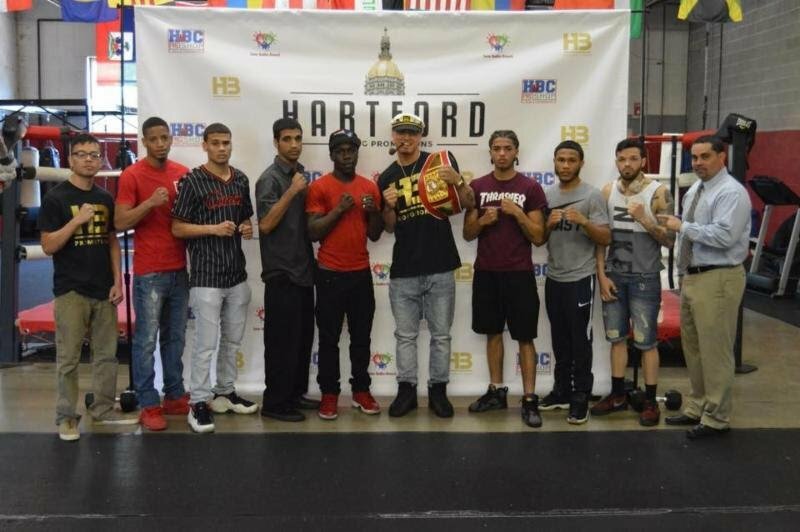 Hartford Boxing Promotions (HBP) hosted a press conference yesterday at the Hartford Boxing Center to promote its first event, “Fight Night at the Capital”, June 16 at Xfinity Centre in Hartford, Connecticut. Below are quotes from yesterday’s press conference. HBP’s goal is to bring quality boxing back to Hartford, which has a rich tradition dating back nearly a full century, headlined by International Hall of Famers Willie “Will o’ the Wisp” Pep and Christopher “Battling” Battalino. Other top-area boxers include world champion Marlon “Magic Man” Starling, world title challengers Gaspar “El Indio” Ortega, and Israel “Pito” Cardona, and 1996 USA Olympic Boxing Team captain Lawrence Clay-Bey. Richard Rivera: “People ask me why I box? I love it, no other reason. As an amateur, I fought for the love of the sport. I’m blessed now because I’m getting paid, but I still love it. We do need to eat and because we have a lot of pro debuts on this card, it means we have a lot of hungry fighters. On June 16th, I’m going to do my thing and, trust me, there are going to be a lot of fireworks. I’ve watched a lot of these guys train. We’re finally fighting in our hometown and we’re going to better all the time. “Boxing helps save lives. Boxing is a performing art. Kids get off the street in in the gym. This is a movement! We are a forced to be reckoned with and boxing gives everybody a chance.”.